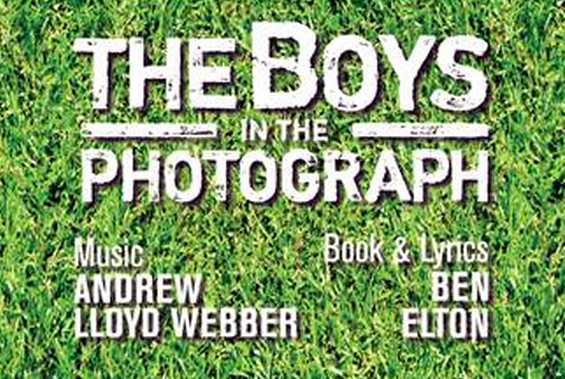 The Boys in the Photograph is a reworking of the Andrew Lloyd Webber and Ben Elton musical The Beautiful Game,set in the troubled Northern Ireland of 1969. The musical is the story of ordinary people in an extraordinary situation and follows the fortunes of a group of teenagers, all members of a local football team, and their friends. Under the watchful eye of team coach Father O’Donnell, John and Del both show enough promise to pursue careers as professional footballers. When they find love they become swept up in the events that engulf their community and, as time passes, each has to decide whether or not to follow their hearts. A show about the northern Irish troubles isn’t the likely choice for a musical, nor a typical subject for your average evening’s entertainment but that is exactly what The Boys in the Photograph is – and boy does it pack an emotional punch. Unlike its short-lived existence on the West End stage, this production, here in Glasgow by Motherwell College’s BA(Hons) Musical Theatre graduating class, has found a home and an audience with whom its themes of sectarianism and bigotry still resonate. This is a clever choice of material to showcase the talents of the actors, avoiding the well-worn classic fare as well as the recent preponderance of Stephen Sondheim and Jason Robert Brown productions, allowing as it does the opportunity for powerful and highly emotive acting as well as strong vocal skills. Packed with memorable and vibrant songs from heart-rending ballads to stirring Irish anthems, it would be a hard heart indeed who failed to be moved this piece. The show benefits from a strong ensemble that deserves credit for effectively supporting the central cast. In the pivotal role of John Kelly, Martin Murphy not only delivers a perfectly judged performance of powerful emotion but also demonstrates fine vocal talent. As Mary, Fiona Harris subtly travels the path from spirited anti-violence protestor to dispirited wife and Bobby Weston turns in a highly-charged performance as Thomas, the classic angry young man blinded by a cause. Credit must also go to Steven Dalziel who deftly handles the only moments of comic relief as the tragic Ginger and the strong-voiced Gill Beattie as Christine. The spare staging and costume design, also deserve mention, allowing the focus to be firmly on the cast, yet perfectly conveying a sense of place and time. I can’t overstate how powerfully this material speaks to its audience or the quality of this cast – the audience remained transfixed from start to finish. This is an arresting tale, expertly realised and richly deserving acclaim – leaving a lasting impression long after the final note has rung out. Hopefully this won’t be the last we see of this musical or this fine cast.